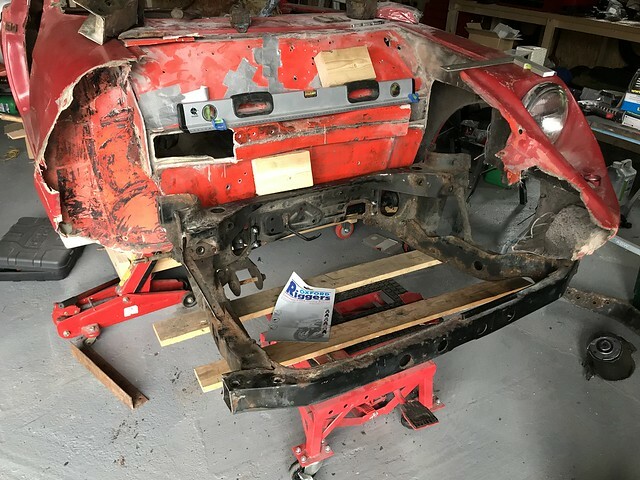 Hi, I am in the gradual process of fitting an MGTF rear subby into a Mini Marcos. I have cut the towers down to the same height as the F and offered it up but I was after some pointers as to the height of the frame relative to the bulkhead cross beam (bottom of beam to top of subby rear rail). It looks about right with a 100mm gap but would be great if someone could measure theirs. 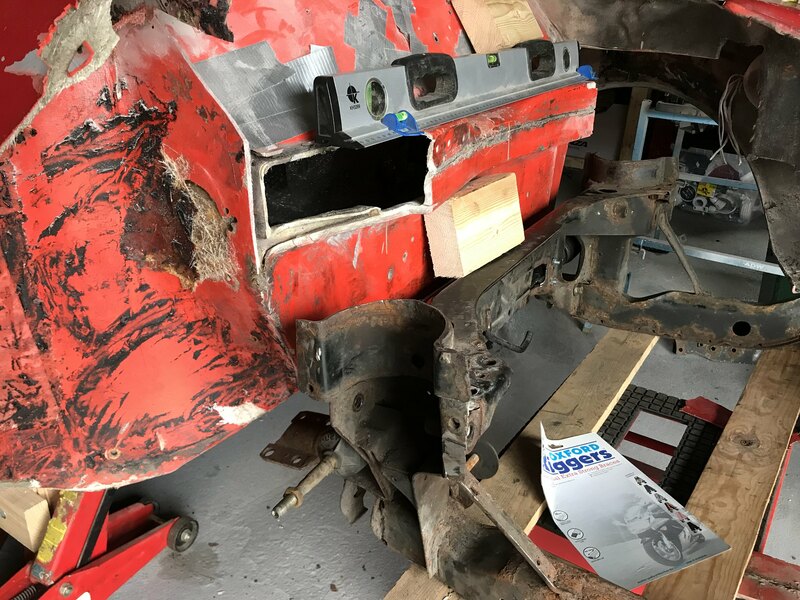 I am also assuming that the lower fore and aft part of the frame should be parallel with the road? Last edited by Coaster; 08-02-2019 at 12:21 PM. There are no photos showing in this thread Colin ? No experience myself, but you should find plenty of photos in the numerous build threads. 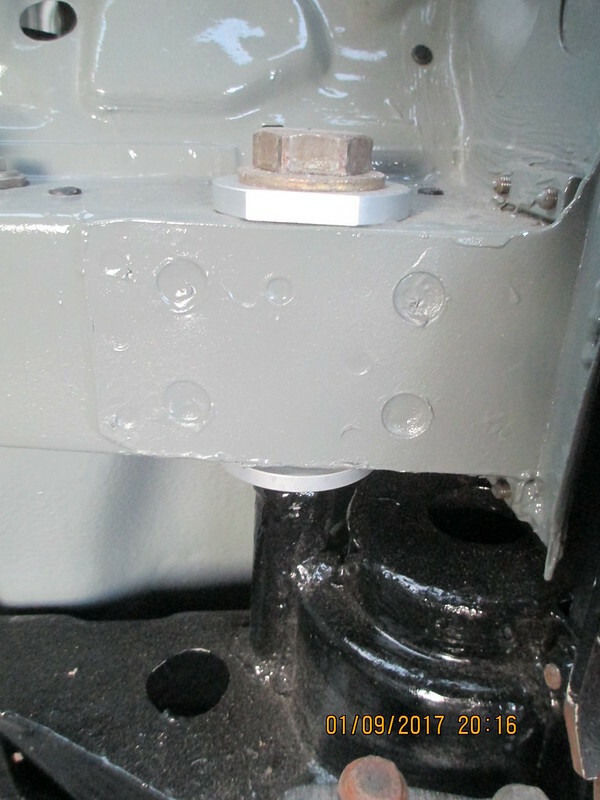 Some serious rebuilding required on those bulkhead ends, why they ever embedded steel in there I don't know. I'd be studying Matt's thread Colin and looking to narrow the frame down as he's done, RWD but the thread should give you a lot of good info. Last edited by Artstu; 09-02-2019 at 01:48 PM. Interesting thread but I dont want to narrow the frame, the increased track isnt a problem for me and I want to retain standard drive shafts. I have had a good look through the build files but just wanted a steer as to how high the subframe needs to be relative to the crossmember. 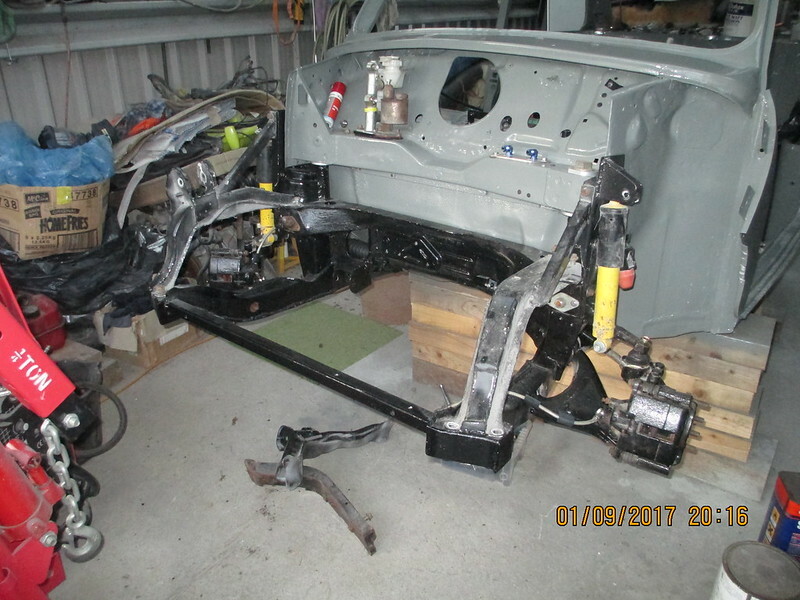 In the photo I have positioned it on the hydraulic lift where it looks about right, the bottom of the frame is approx level with the bottom of the floor and I have a gap of about 100mm between the rear top rail of the subframe and the bottom of the crossmember.